Dec. 3, 2013 - By: Effie Marinos Sustainability Manager SGS United Kingdom Ltd.
Do you know where your products are manufactured? Not just the agent or supplier you are sourcing from, but the actual location where your product or major components can be found? If you do, then you are in a lucky minority of companies with a fully transparent supply chain. If not, it is time to consider the risks in your supply chain. In these days of fast fashion, increasing seasonality of products and extended supply chains, companies are increasingly discovering that they cannot be sure exactly where their products are being manufactured. This should be a concern for companies, not only because of the loss of control over manufacturing methods and quality, and potential breaches of Intellectual Property rights, but also because they cannot know about the conditions under which the products are made. The recent high-profile incidents in Bangladesh and other countries have highlighted not only the prevalence of unauthorized subcontracting but also the poor conditions to be found in the secondary or informal sectors. Increasingly, it is such units that pose the highest risks of unacceptable standards. Poor health and safety, unacceptable working conditions with excessive working hours and breaches of local labor laws have all come to light in the wake of these events. Moreover, the risk of children being employed or young people working in hazardous conditions is much higher in such unregulated and unmonitored sections of the production chain, as is the use of illegal workers. Unauthorized Subcontracting: Are You Part of the Problem? So what is driving such unauthorized subcontracting or production? Typically, this occurs because the appointed factory has been overextended and a higher volume of orders has been accepted than it can fulfill. This may be the factory’s normal procedure for managing peaks and troughs of demand or the result of it not having the equipment or skills necessary to complete all steps in the process. But could it also be due to a desire not to disappoint regular customers who have increased the size of orders with little or no notice, or who are putting pressure on to meet tight delivery schedules? In other words, does your business form part of the cause of such unauthorized subcontracting? So, if these are the reasons, what are the solutions? NGOs (Non-Governmental Organizations) and academics have suggested a range of long-term solutions to deal with the root causes of this issue, ranging from fostering longer-term, trust-based relationships and financial investments for suppliers to reward them for transparency, to reviewing product pricing and even providing financial support to suppliers to assist them in implementing improved productivity. However, hand in hand with these initiatives is the need to have full disclosure of the supply chain and the units involved in production. Increasingly, companies are developing supply chain maps detailing all production steps and identifying the units and locations involved, as a good starting point. This is then supplemented by capability and capacity audits prior to the start of production, coupled with spot checks during production to ensure that not only do the factories have the necessary facilities to meet production requirements in terms of both quality and quantity, but that they are also continuing to keep all production in-house. Of course, once the production units are known this also makes it possible to monitor working conditions at these locations and to open up communication channels both for the managers of these units and for the workers, who can be empowered to report concerns so that companies can regain control of their supply chains and reduce risk to all parties – themselves, their suppliers and, most importantly, to the workers themselves. 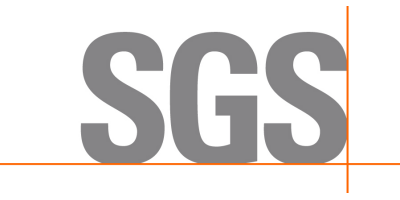 SGS has developed a range of services to support companies in understanding their full supply chains (http://www.sgs.com/en/Sustainability/Social-Sustainability/Supply-Chain-Management.aspx), together with spot checks to identify subcontracting and audits to evaluate production units for quality and ethical performance. For further information, please contact an SGS expert. No comments were found for SGS Warns on the Hidden Risks of Subcontracting. Be the first to comment!